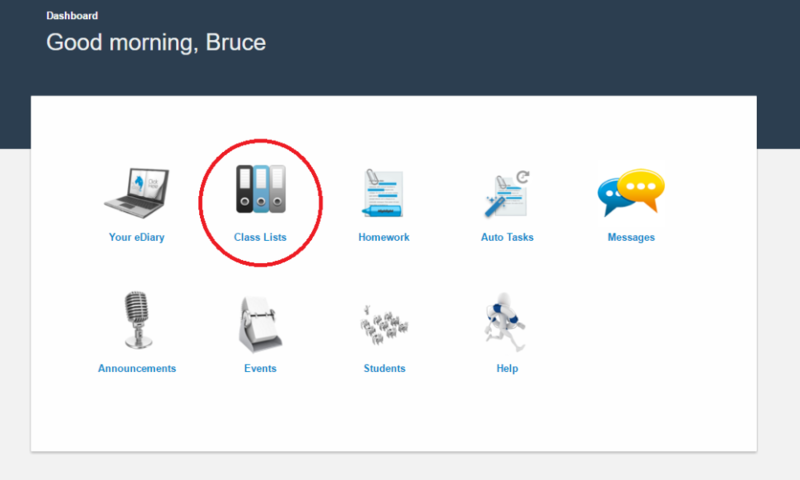 Click on the Class Lists icon from the MyEDiary dashboard, then choose the relevant class from the Class Lists page. Click the Option menu at the top right, then click Edit. Scroll to the 'Which students are in this class?' section. 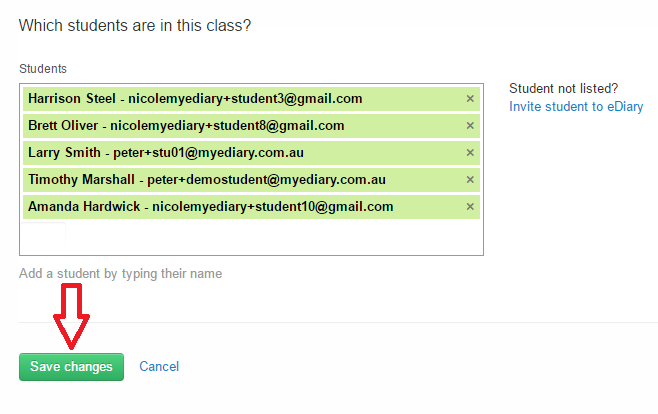 Start typing a student's name and click on them to add them to the class, or click the 'X' icon beside the student to remove them from the class. Once you have added or removed students, click the Save changes button. Done!